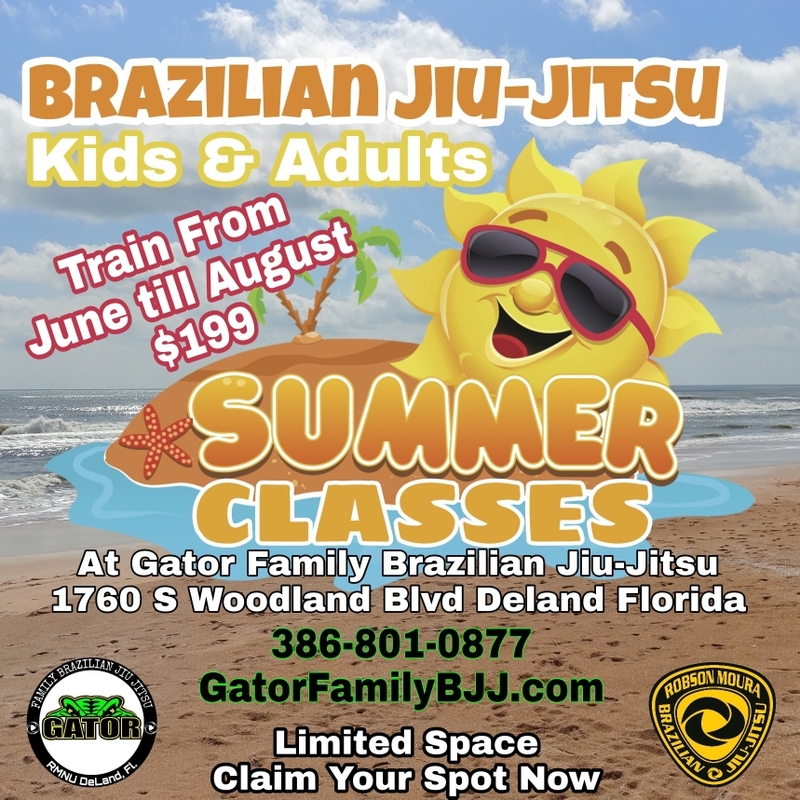 Summer Classes - Gator Family Brazilian Jiu-Jitsu, DeLand Fl. Last year we offered Summer Classes. It was a huge hit. We are once again offering classes from June until August. Kids and Adults will learn Self Defense, Grappling and Competition techniques. Now is your chance to learn Jiu-Jitsu in a fun and safe environment. Spots are already filling up. Last year we sold out. Please enter your info in the form to secure you and your childs spot right now. Looking forward to seeing you 9n the mats!